MapleShade Animal Hospital works closely with a number of dog trainers and animal rescue groups in Dale City, Woodbridge and Prince William County. Please visit the websites of the businesses and groups we work with. All About Dogs - A professional dog training company based in Woodbridge and dedicated to family pet dog training. All of All About Dogs' trainers are members of the Association of Pet Dog Trainers and advocate a humane, positive approach to training. CES Dog Training - Manassas-based trainer Carmen Childs, PhD, offers training programs in behavior modification, private lessons, training camps, socialization camps, canine good citizen classes, group classes and complete puppy packages. Northern Virginia - Mid-Atlantic Great Dane Rescue League - A non-profit volunteer rescue group dedicated to rescuing, caring for and finding loving homes for Great Danes in Northern Virginia. 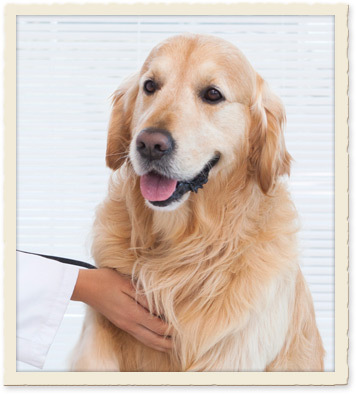 The American Animal Hospital Association - Pet care information and resources for pet owners and veterinarians alike. American Veterinary Medical Association - Veterinary medical news, information and resources by one of the leading veterinary medical professional organizations. Dogs For Kids Resource Guide - Provided By Bump Reveal. The American Kennel Club's list of dog breeds from A to Z. The Cat Fancier's Association has information on cat shows, cat breeds, cat care, as well as a showcase of top winning cats. Cornell University Veterinary School's Feline Health Center website contains information on medical topics relating to cat health care. Heartworm is not only a disease for dogs; cats can get Heartworm, too. Learn more by visiting The Feline Heartworm Society. Solutions to your Pet's Behavior Problems provided to you by the ASPCA. Are you worried your that your pet consumed something dangerous? The Pet Poison Helpline can help. Visit Great Pets for expert pet advice.